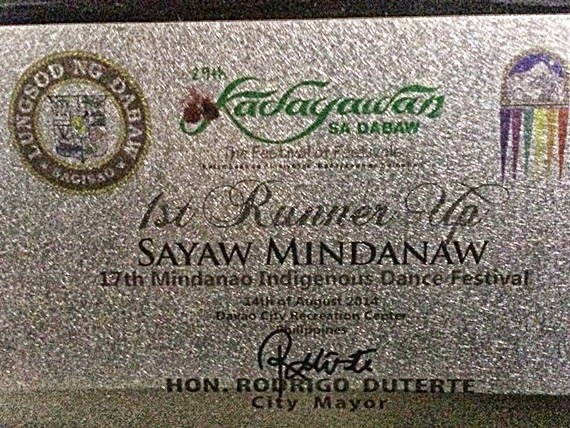 The talent and skills of the South Cotabateños in the field of dancing and performing arts has been proven once more in the recently concluded Sayaw Mindanao 2014, an annual indigenous-based dance competition held in Davao City as part of the Kadayawan Festival celebration. Supported by LGU-T'boli headed by Mayor Dibu Tuan, the T'boli National High School Performing Arts group ranked 2nd in the qualifying round and bagged the 1st runner-up award during the finals held last night, August 14 at the Davao City Recreation Center. 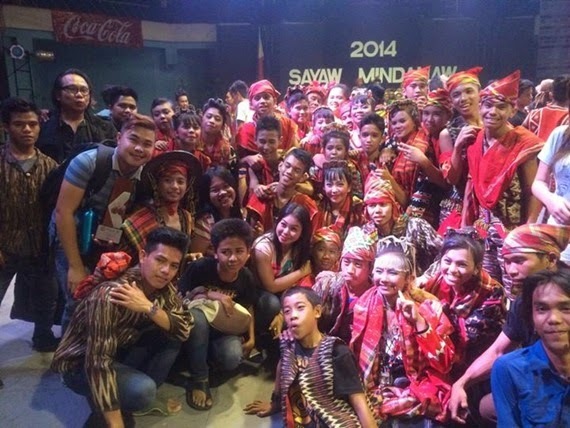 The group which is composed of 23 dancers and 7 musicians bested more than 20 groups coming from all over Mindanao including another entry from South Cotabato, from the Municipality of Lake Sebu. TNHS Performing Arts group presented a dance piece about the burial rites of the T'boli tribe entitled "Lembeng". The group was able to wowed the audience including the judges with their performance, watch video below. Meanwhile, Liceo de Cagayan Folkloric Dance Troupe from Cagayan de Oro City took home the 2nd runner-up and Davao City's Madayaw Dance Ensemble was declared as champion in this year's Sayaw Mindanao competition.